As we all know the world were thirstily waiting for the ICC Cricket World Cup 2015 and as gates have been opened officially on this Saturday. 14 teams, 49 games and 45 days, the whole World is wishing that they can watch every match and get connected with every update of this World Cup of 45 days course. But, as we all know everyone has their own stuff to do, so watching every single moment and every match live couldn’t be possible. Here is the place where the demand and desire of apps take shape in this tech world. Everyone owns a smartphone or tablet. So for all those Cricket lovers, few best apps are available to download that will keep you update with every schedule and session of the World Cup. 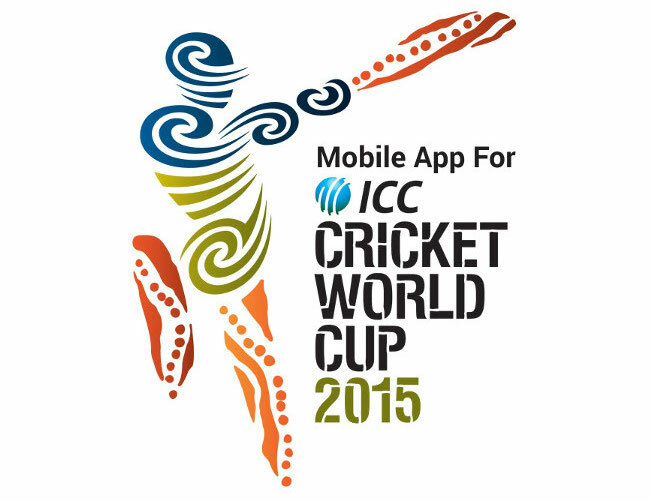 Even, the ICC Cricket World Cup Association has also introduced its own official app for the same. 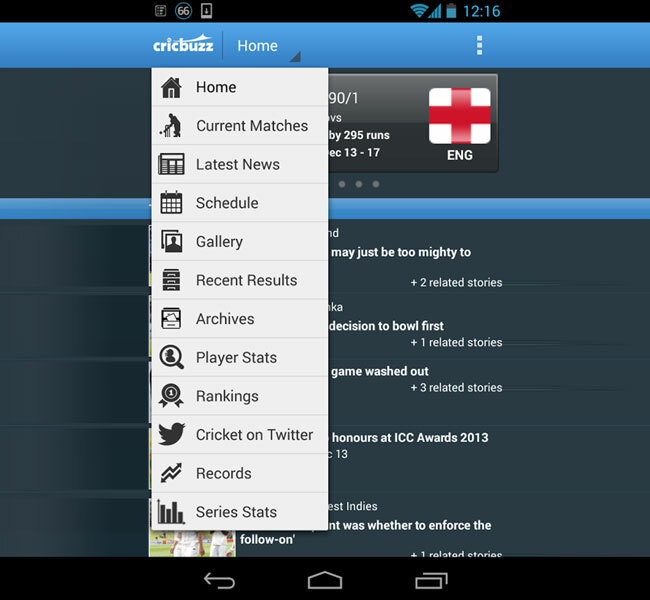 Here is the list of top 5 Cricket Apps for cricket-o-holics. 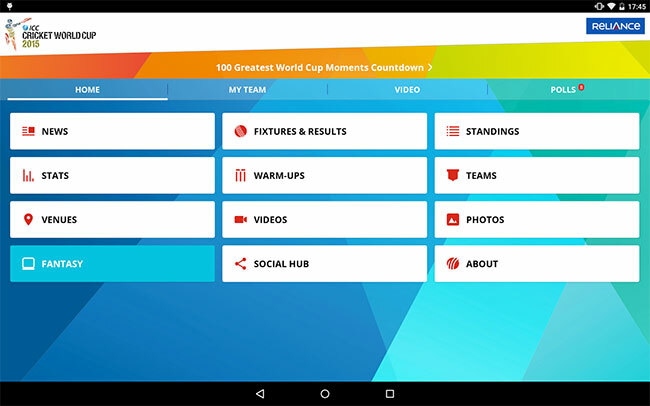 The ICC Cricket World Cup Association has also introduced an official Cricket app for getting the every update of the World Cup. Looking at the increasing craze of matches and technology, they have developed an application for iOS and Android devices. It will not only update you from every match, but also give you the ball-by-ball scores and commentary. You can also watch highlights and get every update about match score, status, results, and reports. It’s free to download for iOS and Android devices’ users. CrickBuzz counts in the best cricket app which keeps you updated with live scores. A new section for World Cup 2015 has been added by the developers which will give you the option of watching the schedules, results, and fixtures separately. A dedicated widget is also there to check live scores direct from your home screen. Notifications don’t give you a chance to miss any of single moment. This also offers ball by ball text commentary to give you the feel of live matches. This app is available for iOS, Android and Windows Phone users for free to download. The official cricket app of ESPN is just like a boon for all cricket lovers. Its arrays of features will drag you to download this app, no matter you have iOS, Android or Windows Phone based gadgets as it’s available for all these platforms for free. The app counts in one of the best cricket apps as its user interface and features are just impeccable and brilliant in each manner. Scores update with ball by ball commentary, videos and photos, results and fixtures, Breaking news, latest ESPNcricinfo video and audio podcasts and many more options are available for you to check on this app. It will never let you a single chance to miss a single moment of matches as alerts notification will help you with it. Amazing one with amazing feature of live video. Yes, using this app, you won’t only get the scores update, but also watch the live streaming of any match while on the go. Star Sports is broadcasting this year’s World Cup on web. So, it is also offering the same on its app for cricket enthusiasts. Well, to watch live streaming, you will have to pay Rs. 120. It’s available on Google Play and Apple App store to download. Live scorecard, replays, match highlight, video on demand and many more; simply install it and get the access of all such features. This app is not a dedicated Cricket app, but capable in alluring sports lovers with its capability of giving the option of watching live World Cup matches for free. Yes, you have no need to pay a single penny for this Hotstar app. It’s available for iOS and Android and you can enjoy every match’s stream live on your smartphone without any hassle. You can also download video content to watch later. Developed by Star India Pvt. Ltd, this app has taken the video streaming from official broadcaster of this World Cup and will show you for free. So, all these above apps don’t give you a single chance to miss any moment and any section of this ICC Cricket World Cup 2015. Be updated with every match as its now coming to your gadget to cheer up your nations’ team.